Plush red seats and the smell of sweet and salty cinema snacks are the images conjured when you think of a good cinema. We’re lucky to have reviews and listings of many cinemas on Euan’s Guide, and we even have a few special art deco and independent film theatres to explore! One cinema has impressed reviewers on Euan’s Guide with its attention to detail where disabled access is concerned. 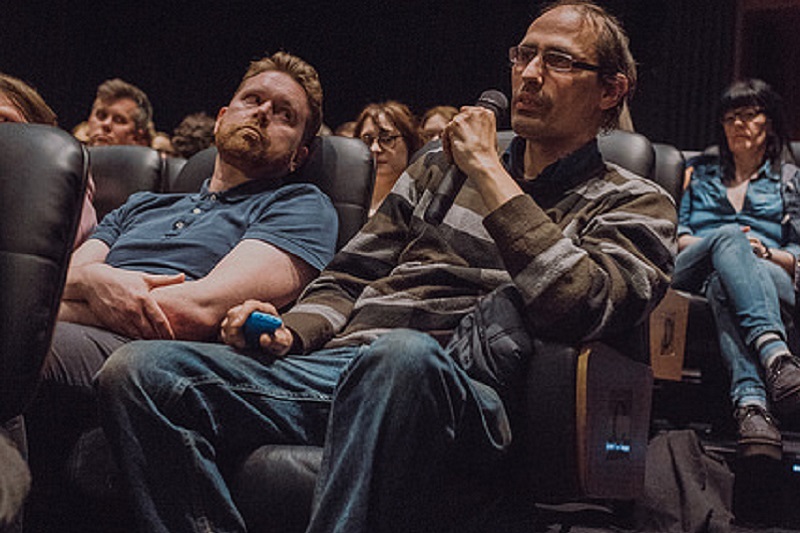 Glasgow Film Theatre was the first Scottish venue to host two different Autism Friendly screening groups, and that’s only a small part of what they do to be an inclusive venue. We interviewed Jodie Wilkinson of the Film Theatre to find out more about what independent cinemas can do to be even more accessible. Firstly, why did Glasgow Film Theatre decide to list on Euan’s Guide? Because it’s an excellent, interactive and responsive community leading the way in how people are taking control and finding power in informing public facing venues what they are doing well and can do better in regards to their diverse audiences. One reviewer was particularly impressed by the viewing positions for wheelchair users at Glasgow Film Theatre. How did you decide where to reserve wheelchair accessible seating, and what did you consider beforehand? In liaison with Front of House team in creating our Accessibility Policy and acknowledging best access routes, we trialed and noted the sections that were the best and swiftest route for people who use a wheelchair. However, it’s actually a frustration of ours, that being in a listed building, we are unable to offer more choice. With every alteration we make to the building we look at this in detail with our architects, but so far have been unable to overcome the problems of working in a beautiful but difficult building (for access). It’s wonderful that this this reviewer was happy and was commenting on Cinema 1 access in which we can block the front section of seating which is a great viewing position. How helpful has it been to have alternative formats (e.g. large print brochures) at Glasgow Film Theatre? How do you advertise that these formats exist? You can find information of this at our box office and on our Accessible Communication section of our comprehensive online Access Statement. This will be fully updated once we reopen from the building renovation work. We get the most feedback from our large print Glasgow Film Festival brochure with people giving fantastic comments and points on how we can improve it for our diverse cinema going community, and this is very much appreciated! We have also just launched our new website in which accessibility was a top priority of ours, and we have worked very hard in consultation with an invited access team who can interact with the website from a Deaf, visually impaired and blind perspective. You have two interesting Autism Friendly screening groups! Can you tell us more about these and how long they’ve been running? Glasgow Film Theatre was the first venue in Scotland to offer these two screenings and we had to devise our own training for staff working on the shows, and now have a core group who work on these events. Glasgow Film Theatre hosts monthly evening accessible screenings. The film and the cinema environment are suitable for children with autism spectrum disorders and/or sensory hypersensitivity. The films have no subtitles, are played with the volume reduced and the house lights on low. Children can make noise and move around. Children with other disabilities are welcome to attend the screenings too. The screenings take place on the first Saturday of each month at 12 noon. We run these in collaboration with Scottish Autism who provide themes and then all of the films we screen are based around that theme. In terms of practically how these run, it’s a very similar set up to Visible Cinema, where we have a short intro, film screening and then a post film chat. We have these facilitated by Scottish Autism and us, and quarterly we have a special event with guest speakers. The feedback has always been positive, and I think people really appreciate that we don’t just pick our quietest slot and package that up as our Autism Friendly screenings. It’s so important that we’re forward thinking and we’re not demeaning our audiences by making the only slot specifically targeted to them at a time where no one else goes to the cinema! I think that can be something you see happen elsewhere, and I think what’s so key for us it that it’s really not about the money. We offer a subsided price for the screenings at £5.50 because we really don’t believe money should be a barrier. What I try to be conscious of as a programmer is to avoid films that might be more stereotypically assumed to be access films, as I think there can be a tendency to assume that Autism Friendly automatically makes it a club for younger people. What themes have been most popular at the Access Film Club? A great theme at the start of this year was ‘New Beginnings’, which we kicked off in January with ‘Stand By Me’. In February, we hosted our first special event; a very exciting happening with Rory Hoy. His film ‘Autism and Me’ is a short dive into his perspective of living with autism, which was followed with a Q&A session with Rory and then a Q&A session with his mum, Geraldine. We structured it this way as we knew that there might be a lot of audience members living with autism who would want to chat to Rory but equally we tend to have people attending who are family members, teachers, carers and people who work in additional support needs contexts, and they want to meet and share their experiences in a relaxed environment. Then afterwards we headed to Project Café where Rory, who is also a music producer, performed a DJ set. And we did all this in the space of two hours. Keeping the event to a structure is really important to our audience, and so we make sure in programming that we keep it to a Tuesday evening, running 6-8pm; but in terms of the content we’re always looking to experiment and take on suggestions from our audience of new things they’d like to see happen. We know it’s about so much more than just film, it’s about socialisation and promoting health, wellbeing and as we’ve learnt from this event, providing aspirational role models. An Evening with Rory Hoy from Geraldine Heaney on Vimeo. What for you has been the best thing a reviewer has written about Glasgow Film Theatre on Euan’s Guide? 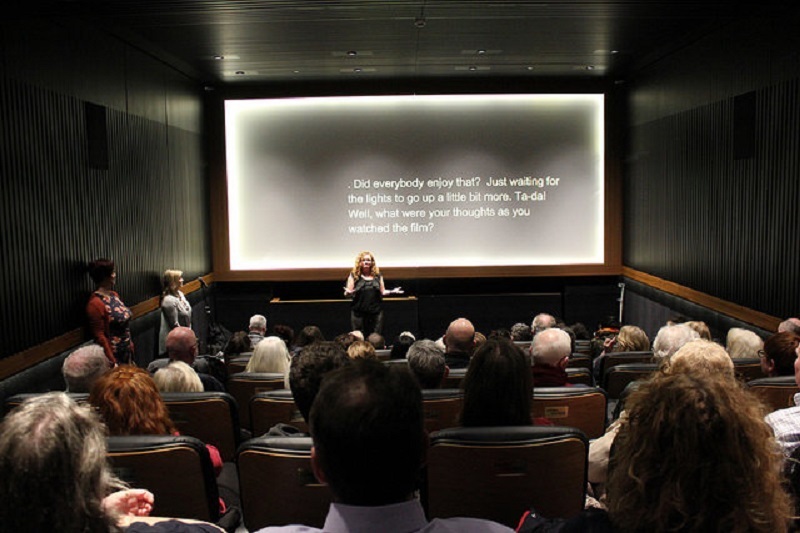 What can you see Glasgow Film Theatre doing next in terms of accessibility? The redevelopment of the foyer and the creation of Cinema 3 has improved accessibility to not only the building but also the programme. Cinema 3 offers a more intimate space that is excellent for Access Cinema and Visible Cinema. The new foyer development has a second lift that gives access to previously inaccessible areas such as the 2nd floor bar, the Project Room and our front of house offices. We’ve also increased the number of accessible toilets from one to three. Our Visible Cinema programme (a video is also available) enhanced for Deaf and hard of hearing audiences continues to set a precedent in accessible event format with BSL and speech to text service; plus we are in the making stages of a new BSL and captioned welcome video for our website and bar area. Is there anything you’d like to work on, or create in the future? We are a thoroughly conscious and forward thinking team who are very aware, in line with our Equality, Diversity and Inclusion Action Plan of how our programming in all strands of Glasgow Film can be enhanced and challenged when planning through the lens of Equalities and Diversity. Every month we show a large selection of audio described, captioned and subtitled films. Every year we increase our focus and capacity on the amount of diverse and accessible events we have at Glasgow Film Festival and we work very hard to make sure that every venue we work with externally, like us has the best accessibility and we are honest to say what venues we work with can't provide so that our audiences can make informed choices. We work hard to make this visible through our festival and events information pages; Euan’s Guide website will also be the place we post this information too! We are currently collaborating with the Royal Conservatoire Scotland on a set of Deaf led events where the first cohort of BA Performance Deaf students curate for the Visible Cinema programme, which includes Deaf shorts being screened with facilitated chat. This model is very exciting and an ambition would be to see this model transposed to our Access Film Club special events model and a longer-term ambition is a fully integrated Access Film Festival which represents fully our diverse cinema going community. Also recently, having just completed a focused period of research and development in Dementia Friendly screenings, culminating in a very success Movie Memories film event (a video is also now available) with one of our neighbouring community venues in Dundasvale, we hope to be able to provide a regular Glasgow Film Theatre film programme, subject to funding, in 2017. Finally, can you tell us a bit more about Hollywood Dreams of Scotland and if there will be any accessible events during the festival? 1. A pop-up autism and intergenerational event combining a film screening in a relaxed environment- coupled with interactive story building workshops and creative film industry professionals will offer hands on sessions with budding filmmakers and creatives! 2. British Sign Language Interpreted (BSLI) industry events. 3. Offer of BSLI at selected events which Deaf customers choose from those they want to attend and BSLI will be provided. 4. A wide range of subtitled films. 5. Visible Cinema Events (enhanced by BSL and speech to text service). 6. 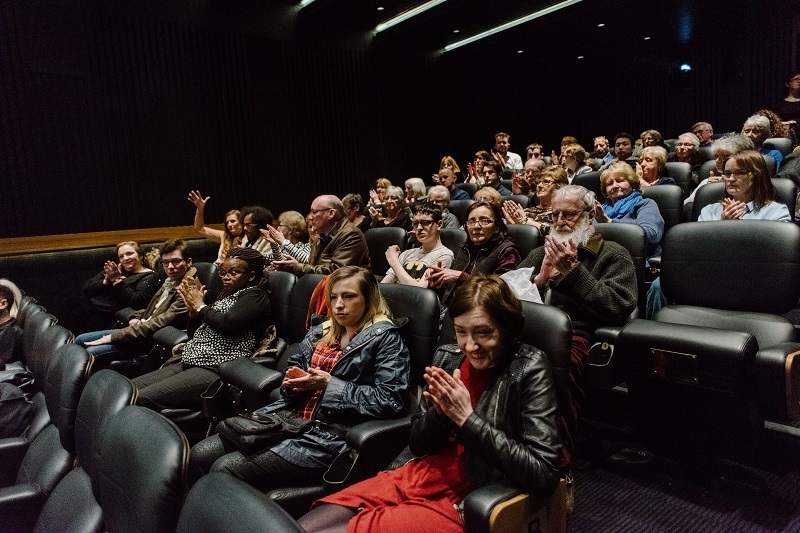 A range of Captioned and audio described screenings in the programme. Thank you to Glasgow Film Theatre for interviewing with us! To find out more, you can contact Jodie Wilkinson, Public Engagement Coordinator, at Jodie.Wilkinson@glasgowfilm.org. You can also read all Glasgow Film Theatre reviews and add your own here.